Line and cookie sheet with foil and spray with vegetable oil. Unroll puff pastry onto foil. Use a fork to poke about a dozen holes in the pastry sheet. Spread maple cream over the pastry. 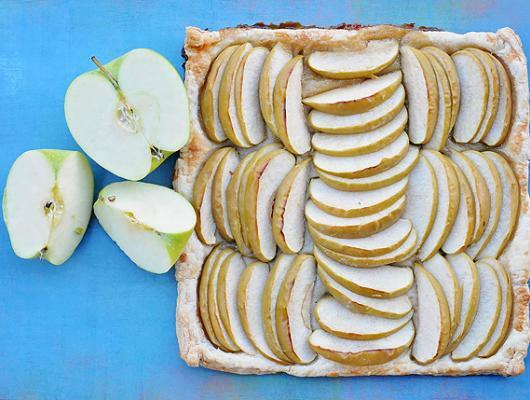 Arrange apple slices in a pleasing pattern on the pastry. Leave a ¼" around the edges. Brush tops of apple slices with butter. Fold edges of pastry up. Bake a 400 for 20 minutes or until pastry edges brown. Minimalist baking at it's best! A handful of ingredients create this beautiful presentation. 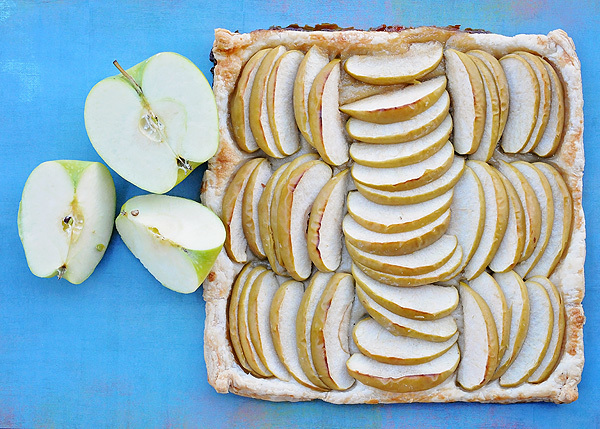 Tart Granny Smith apples paired with 100% pure Maple Cream on puff pastry take minutes to prepare.